<3. . Wallpaper and background images in the 배드 시기 club tagged: michael jackson bad era. This 배드 시기 photo might contain 거리, 도시 현장, 도시의 설정, 도시 장면, 도시 설정, 도시 거리, and 도시 장면 설정. 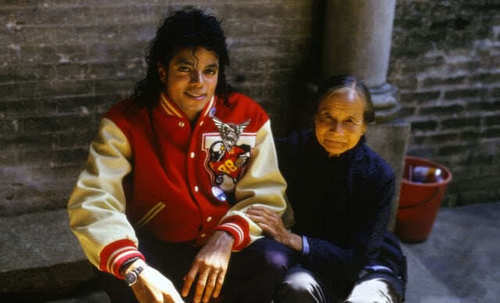 Young Old American Asian European Black White Everyone loves Michael Jackson! This lady is probably someone's grandma and even she can't resist Michael. And he looks so cute and patient and respectful of her! What a doll!